Why We Love the Fantom 2.0 (and you should, too)! It should come as no surprise that we eat, sleep and breathe tools here at Fullerton. Nothing makes us happier than a tool that can handle some serious chip loads while providing superior finishes. 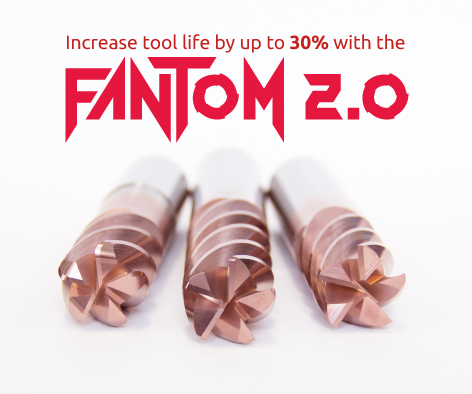 With that said, we’re very excited about our latest tool – the Fantom 2.0. This is our second-generation end mill for the Fantom series and there is a whole lot to love about this tool, so much that we’ve compiled a list of the 5 reasons why we love the Fantom 2.0 – and you should, too!